I’m nearing the end of my romance novels from Nicholas Sparks. This one was actually a little bit different than the other ones because it had some different features from the other books. Or, at least the books I’ve read. Miles Ryan lost his wife in a hit-and-run accident a few years back. After that, his life seems to have been in a fog. If it wasn’t for his son Jonah he would most certainly have lost it. It all starts with a note in Jonah’s backpack. It’s from his teacher, Miss Andrews, and she needs to see Jonah’s father concerning his progress in school. Sarah Andrews was married and her life seemed perfect. Then when her marriage fell apart she knew she couldn’t stay in Baltimore any longer. She needed to get away where nobody knew of her or her past. She needed to go somewhere she could start over. She moved to New Bern. 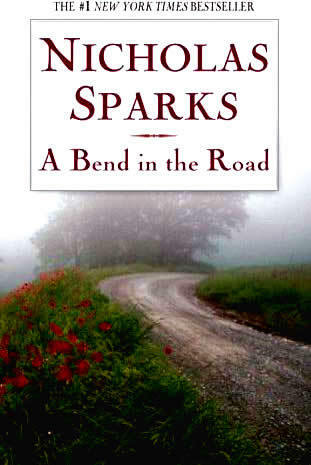 This book has a third person perspective, and that is new to me in Sparks’ books. I was a little confused at first because I didn’t understand what this third person had to do with anything. That confusion disappeared quite quickly and turned to curiosity instead. Who was this person? Why was there a third person perspective in a story when it obviously is about two people? The answer, of course, came as the book progressed. As usual, the book is quite easy to read, nothing complicated, and it is a nice love story. That’s quite nice for me because my other current read, Contemporary Left Antisemitism by David Hirsh, is a real brain twister. I enjoyed the plot and storyline in this book more than I expected I would. The reason for this is that the story took more twists and turns than I’m normally used to with Sparks’ books. Add a nice formulated crime into the mixture with all the tangled feelings and you get a pretty good outcome. Especially when it is Sparks who writes it. To be quite honest I’m getting kind of bored with romantic novels. People say there is nothing as too much romance, but when it comes to books I really believe there is. I think I will take a break now because it is no fun in reading books just to read them. It is more fun when you actually want to read a romance novel and you happen to have a promising one at hand. Besides, after a while, all the storylines sort of blurs themselves together and you struggle with remembering which character belongs where and so on. Maybe I’ll read some more when I head to France. I need some nice and easy reads in the heat haha.